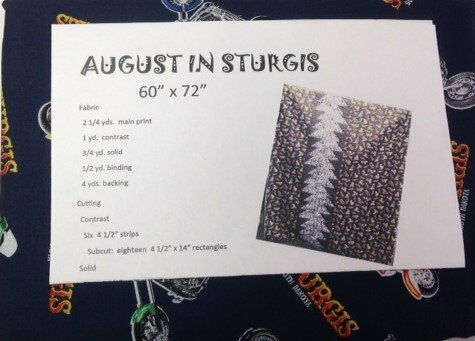 Our exclusive Sturgis in August quilt kit. Includes Sturgis toss, flames, solid fabric and pattern. Makes a 60" x 72" quilt.